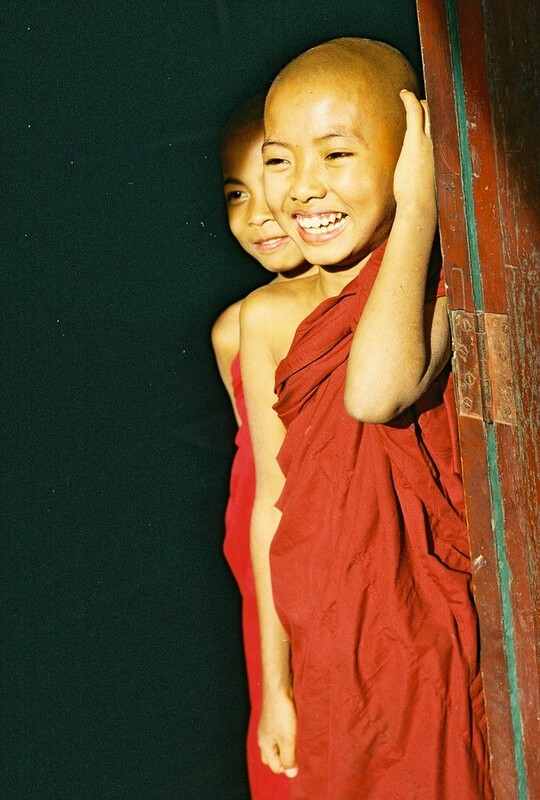 An afternoon sunlight allowed to emphasise how pure and full of bliss were these two little kids studying to be monks in the Buddhist monastery of Myingyan city. The greatest treasure of these two smiling faces is that they were captured in a place full of unconditional kindness and compassionate love which made a special beauty of Myanmar. Next Post: Good Guy Biker Strikes Again ! That anyone can smile in the country of the world that these two children live in says a lot for their heart and of their instruction.